Crazy socks. Here are 10 of the best. 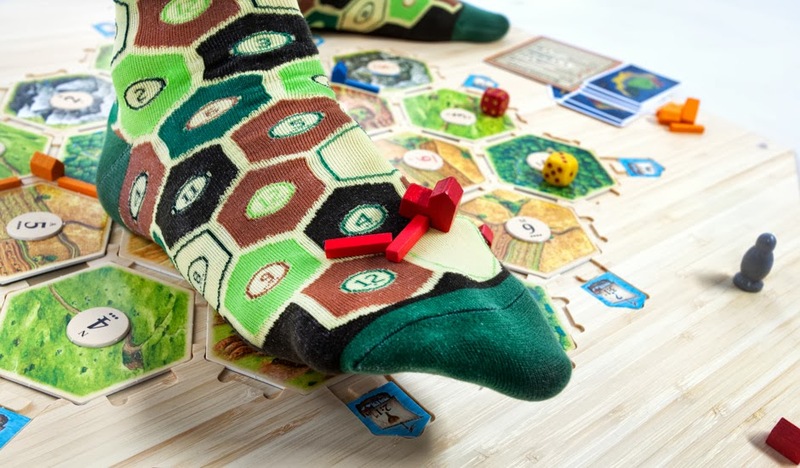 The neuvo classic German boardgame that all your hipster friends are playing, can now be worn on your feet. You’ll be wondering how you could have ever scored the Longest Road Card without them. 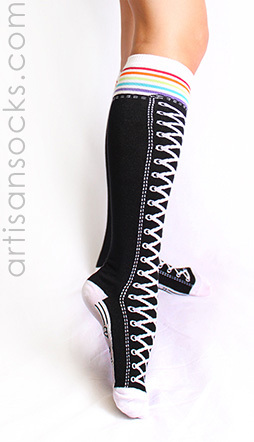 I bet ol’ Chuck Taylor never saw these coming – these knee highs are a thing of beauty, Swanky knee high converse socks. lace’m up all the way to your knees. 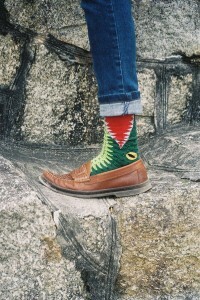 A classic patterned sock with a hint of morbid whimsy. 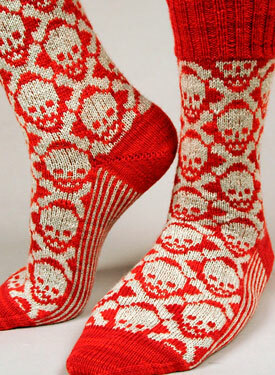 The skull and cross bones socks are available in a number of different color patterns. When you’re sporting these socks, you’re making a statement – we don’t need to know exactly what you’re saying, but we know for dang sure you’re saying what’s on your mind, even though it’s been censored. Make a firm stand in the nerd kingdom with these college ruled knee high socks. They’d make a great back to school gift, or maybe a gift for a professor or teacher. 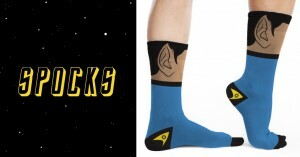 They aren’t socks, they’re spocks. Meant for space… the final frontier. Harkening back to the era of single prop fighter planes, swing dancing and Rosie the Riveter. 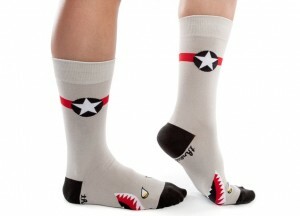 These fighter plane inspired socks would put a smile on any pilots face. 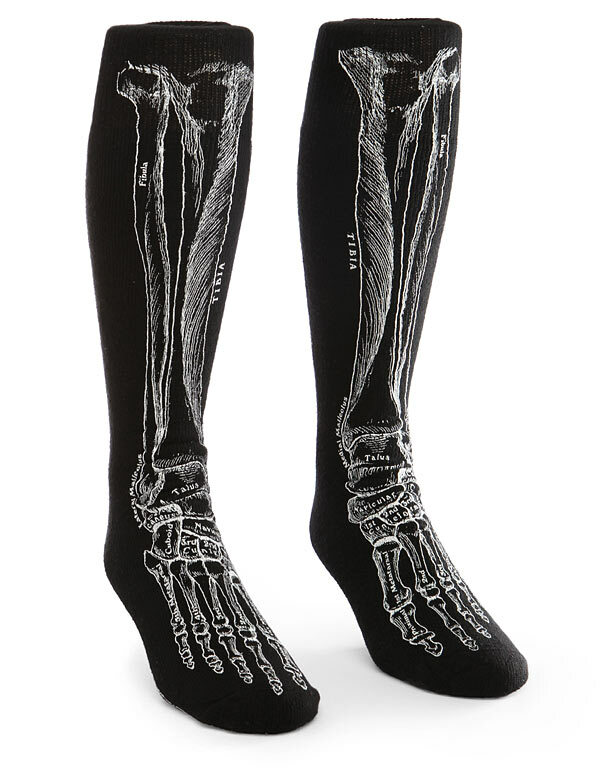 They aren’t creepy, they’re anatomical socks for the medically savvy. A complete skeletal diagram from the knee down, these will keep you from getting you tibia and fibula mixed up. 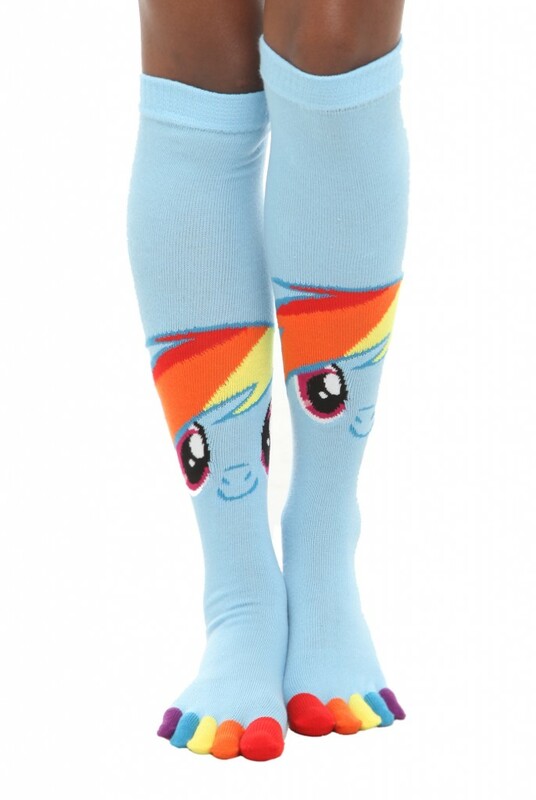 Some of us never grow up, and these Rainbow Dash pony toe socks are perfect for that kid ( or kid in you).